I like the music bracelet. 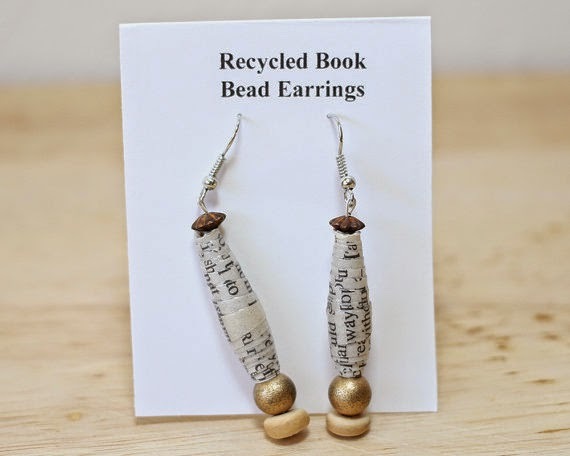 I like the Dr. Seuss ABC's, Handmade Recycled Paper Bead Earrings. Thanks. Wind In The Willows Book Paper Bead Bracelet Set is something I like. I like the Dr. Seuss Jewelry, Handmade Recycled Paper Bead Bracelet from Fox in Socks. I like the pied piper, earthy recycled. I like the Dr. Seuss bracelet. I enjoyed the hobbit one. My favorite is: Chica Chica Boom Boom, Recycled Book Paper Bead Bracelet Set, Made From Damaged Book. My favorite item is the Jungle Book bead bracelet. My favorite is the Music Bracelet, Recycled Sheet Music Paper Bead Bracelet Set. I like the Go Dog Go Recycled Book Bead Bracelet Set. I like the Goodnight Moon bracelet. The secret garden bracelet set! I like the Map Bracelet Made From Recycled Road Atlas Map, Paper Bead Bracelet Set, World Traveler, Adventure Time, Traveler Gift. Map Bracelet. Im actually a fan of Mortal Instruments,so winning that bracelet would be super cool! I really like the map bracelets. The Lorax ones all look really fun. My daughter would love The Hobbit bracelet. I would get The Hobbit bracelet for my daughter. She loves that novel. I like the recycled map bracelets. I like the Mortal Instruments bracelet. Wheres Waldo Recycled Paper Bead Bracelet set, Made From Recycled Book Pages, Librarian Gift, Rainbow Bracelet, Geometric Bracelet Set is so fun. I love several but Go Dog Go really caught my eye! I love the Recycled Paper Bead Lanyard. 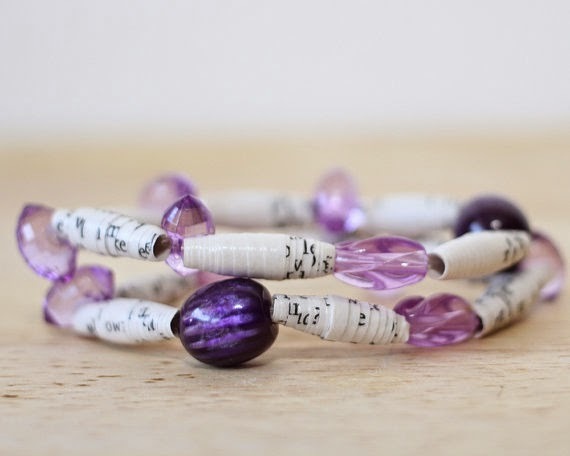 I so love the Music Bracelet, Recycled Sheet Music Paper Bead Bracelet Set (the one with purple beads). It's very gorgeous! I like the recycled Sesame Street pages paper bead lanyard. I love the Pride and Prejudice bracelet! All the sheet music bracelets are cute too. I love the eat, pray, love bracelet set....pretty cool. I may need the Secret Garden bracelet. That book was so important to me as a child, I would love to have a piece of it everywhere I go. Hi! These items are such a cool idea! One of my favorites is the Dr. Seuss Bracelet. LOVE! I like the Music Bracelet--what a great idea! Thank you for the giveaway! Great idea to combine fashion and recycling. 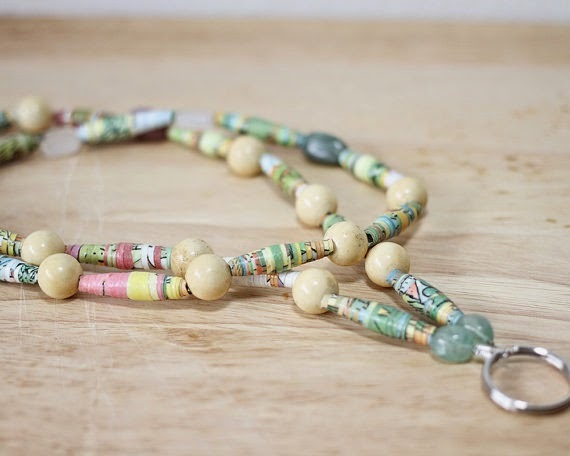 Recycled Paper Bead Lanyard, Made With Green Eggs and Ham Book Pages. I like the Recycled Paper Bead Lanyard, Made With Green Eggs and Ham Book Pages, Librarian Gift, Teacher Gift, Nurse Gift, Beaded Lanyard, ID Lanyard. I would keep for myself. Wind in the Willows, Recycled Paper Bead Necklace Made With Book Pages, Teacher Gift, Kindergarden Necklace, Pastel Necklace is my fave, thank you for this chance to win! I like the blue recycled map bracelet. The Good Night moon bracelet is very creative! My favorite is The Secret Garden Bracelet Set. I like the Pride and Prejudice. I like the color purple and this looks very nice. I would also love to get the Bohemian bracelet! I heart the Dr. Seuss jewelry! 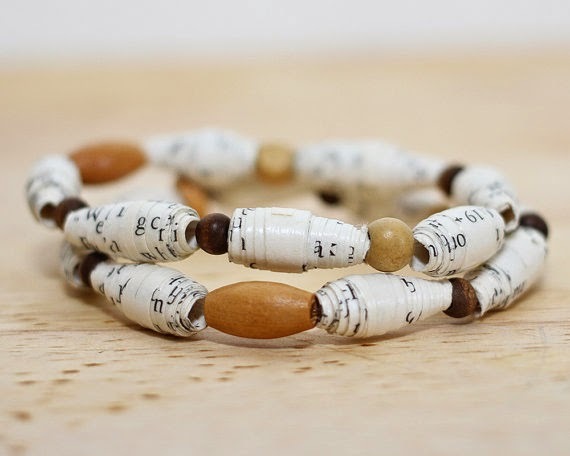 I love the Music Bracelet, Recycled Sheet Music Paper Bead Bracelet Set. 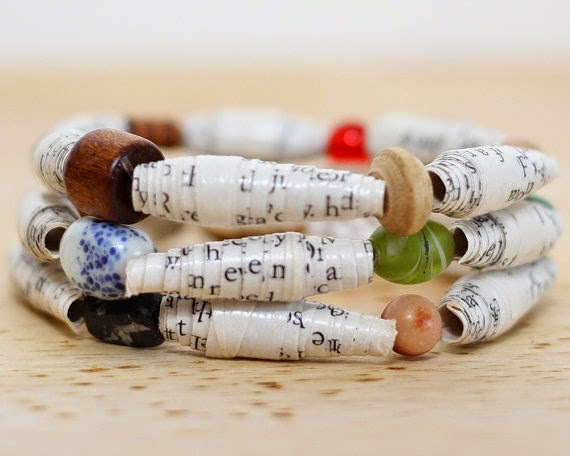 I like the Music Bracelet, Recycled Sheet Music Paper Bead Bracelet Set, Band Teacher, Music Teacher Gift, Music Lover. 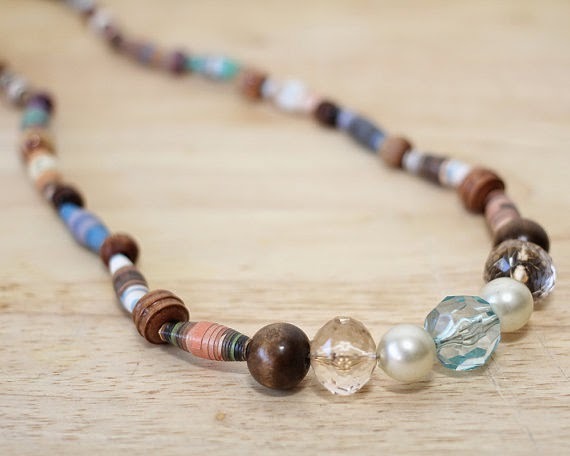 I love the paper bead harvest necklace. I love the Beauty and the Beast Bracelet. I love the beauty and the beast. I love the Pride & Prejudice Bracelet! I really liked the The Hobbit Recycled Book Bracelet Set the best out of all. I would really like to win this.